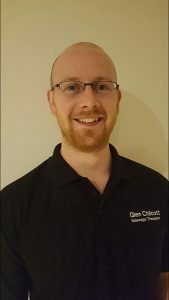 >> Glen works at Dural Osteopaths on Thursdays, and 1st & 3rd Saturdays. You can book an appointment with Glen online HERE, or by phoning the office on 02 9653 9944. I chose this career to help others overcome their aches and pains, while still being my own boss. I like to educate my clients so that they understand why certain areas of their body seem to play up regularly. This empowers my clients to assist in the management of their own body through stretching and strengthening of appropriate muscles. After completing a full-time Remedial Massage diploma, I began working in the field in February 2014 as a massage therapist and also as a chiropractic assistant. In Spring 2016 I also began Remedial Massage at Dural. My style is a blend of Swedish massage combined with deeper remedial techniques. I employ trigger point therapy as well as soft tissue release to encourage tight muscles to relax and maximise their length and movement. I am happy to work firmly and as deep as each client is prepared to tolerate, but importantly as deep as is needed for each muscle and each individual.